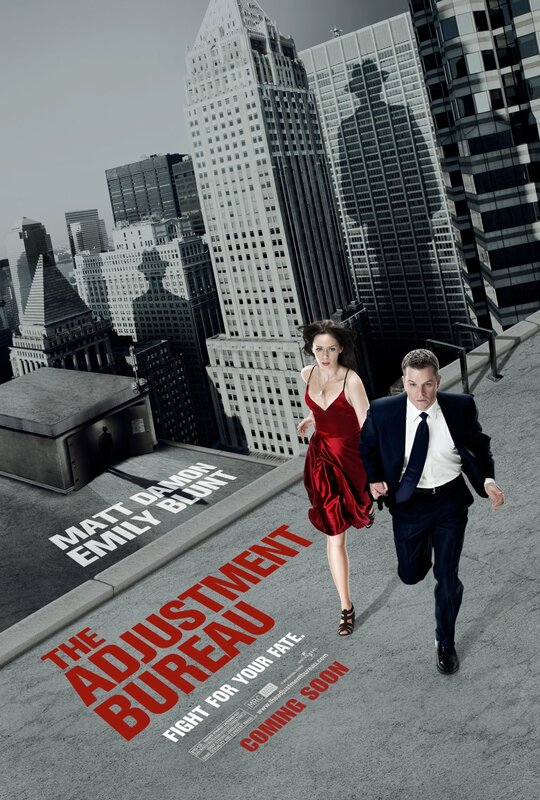 You can be one of the first to see The Adjustment Bureau during a special free screening Thursday, February 17, 7 p.m. at AMC Carolina Pavilion 22 (9541 South Boulevard), two weeks before the movie officially opens in theaters. The Adjustment Bureau stars Matt Damon, Emily Blunt, and Anthony Mackie and is written for the screen and directed by George Nolfi (writer of Ocean’s Twelve, co-writer of The Bourne Ultimatum). Go to adjustmentbureau-faith-charlotte.eventbrite.com to RSVP for the screening. Here's how the movie's plot is described: "On the brink of winning a seat in the U.S. Senate, ambitious politician David Norris (Matt Damon) meets beautiful contemporary ballet dancer Elise Sellas (Emily Blunt)—a woman like none he’s ever known. But just as he realizes he’s falling for her, mysterious men conspire to keep the two apart. David learns he is up against the agents of fate itself—the men of The Adjustment Bureau—who will do everything in their considerable power to prevent David and Elise from being together. In the face of overwhelming odds, he must either let her go and accept a predetermined path...or risk everything to defy fate and be with her." I can't say the plot description makes me want to see The Adjustment Bureau. The trailer is a little interesting, though--like one of those movies that kinda freaks you out and makes you wonder if there really are secret groups/forces that control the world. If you attend the screening or go see it once it opens March 4, holler at me and tell me what you think of it.